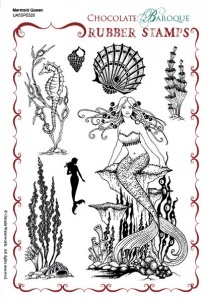 This rubber stamp set features a beautiful image of a mermaid sitting upon rocks and shells together with other designs of seaweed and seahorses. 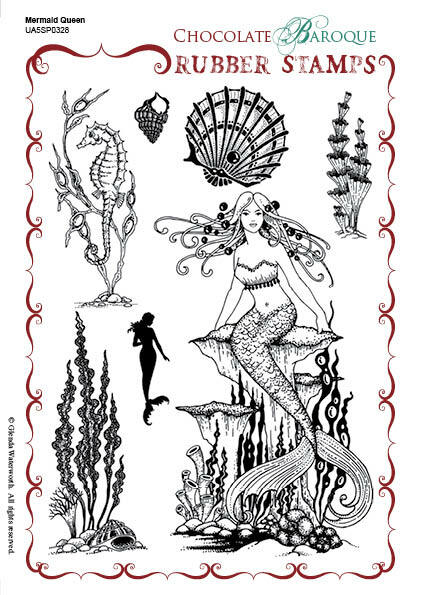 This set is ideal for those who enjoy colouring and shading as there are so many facets to the mermaid it would be difficult not to enjoy bringing this image to life. 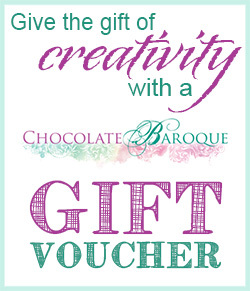 Chocolate Baroque are one of the very best stamps out there. The Mermaid Queen is so delightfull im so happy with the stamps. Each and everyone that I have stamp beautifully the detail in them are amazing. I would also like to say that when Lesley is on screen teaching us crafters and sharing her work and that of her very talented team always give me the encouragement to try to replicate some of her work (I'm not very good but I have a go). 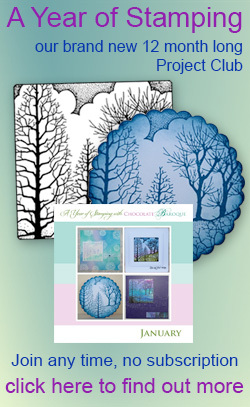 This is an absolutely beautiful stamp set,they are very detailed and stamp perfectly. I'm really pleased with them. I love, love, this stamp, the mermaid is so detailed & stamps beautifully. Very pleased. Love these stamps. When I showed them to my friends, they ordered them too!